HARRISBURG –Senator Kristin Phillips-Hill (R-York) called on the Senate of Pennsylvania to take action on a package of bills she’s sponsored to address ongoing concerns with data privacy and protection in state government and public schools. Phillips-Hill is proposing three solutions in the state Senate to address data privacy. 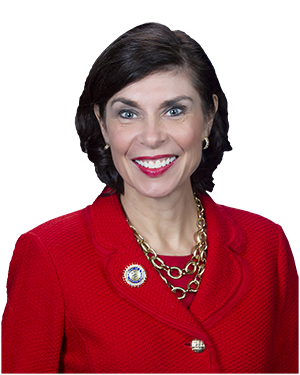 She is sponsoring a major overhaul of the state’s IT systems with Senator Ryan Aument (R-Lancaster). Their bill would consolidate the administration and management of the state’s information technology under the Office of Information Technology. Under another proposal, the state would have guidelines to alert Pennsylvanians in the event of a data breach within state government. It would also require annual data security reviews of state agencies, the legislature and state courts. In addition, Phillips-Hill will sponsor legislation that would establish the Student Data Privacy Act. The proposal would define what student data is protected, who is responsible for the data and procedures in the event of a data breach. It would also require the Pennsylvania Department of Education to create the role of the Chief Data Privacy Officer to ensure student data is protected throughout the Commonwealth. You can watch Senator Phillips-Hill’s speech here. You can listen to Senator Phillips-Hill’s speech here.